Yellow LX at Der Weinerschnitzel in HB. Patty I'm just playing dumb like we didn't talk/meet so their will be a OC thread. 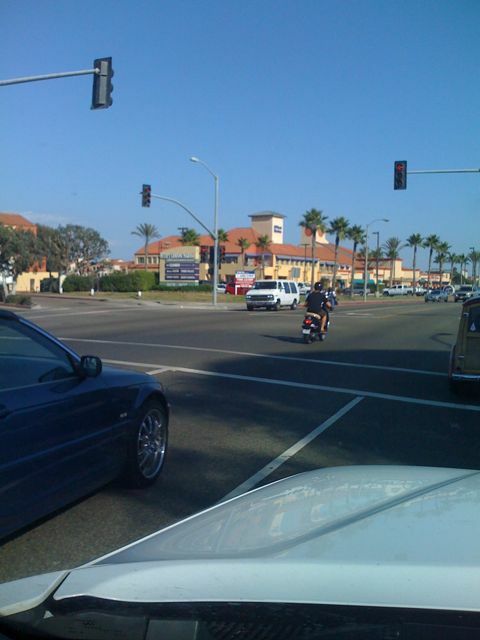 A silver MV southbound on Springdale at McFadden in HB. Garden Grove Costco. Nice ride. 9/19, 405 north, on car pool lane: A green large frame, rider wore a light blue half helmet--and passed me while I was held up by traffic in my car (on my way to LGB, flying out to Utah. 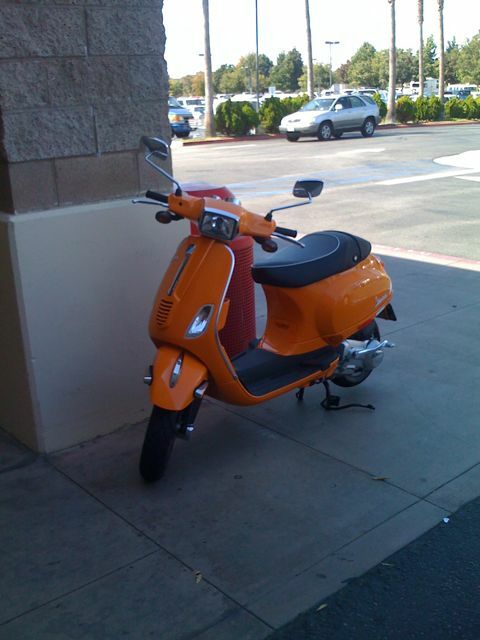 Saw a Silver MP3 250 or 400 cruising out of saddleback community college a few days back. Black GTS with small flyscreen, with cute girl at 5:10 pm by Angel Stadium today. Harbor Blvd. Near Wilson at about 1 pm, Ruckus and a GTS travelling N/B (I passed you headed South). Blue MP3-400 parked next to me at Garfs about the time of the Laker game. Gray GTS two up going southeast on Bayside Drive in Newport Beach on Saturday 8/29. i was on my road bike going northwest. is utah valley in so cal? where are you in so cal? 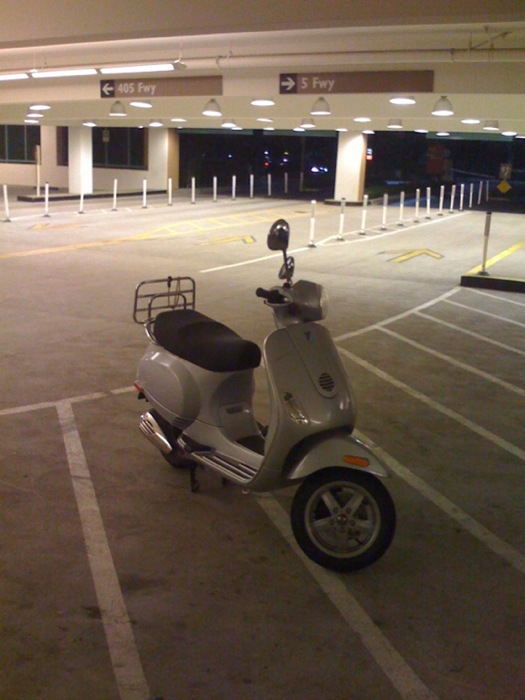 BELLA TERRA parking garage, I had to turn around to get the photo. ...on this lovely warm day. Siena Ivory GTV eastbound on Harbor Blvd in Costa Mesa, two up. I hope everyone had as fun a ride as we had! Happy V-Day! I spotted a Yellow LX150 today at a light off Newland. coming home on the P200E i zipped past a lovely lady on an old blue GS/GL.....had to be early 60s......nice fresh paint and a loud beep beep! wish i could see that everyday! That is my neck of the woods. I will have to keep an eye out for both of you. All of us Orange County fold ought to get together for a ride! now where are my gloves and long underwear? Hey Coco I'm up for a ride. I live in Dana Point and rode clear up to Long Beach this morning to ride with the LB club. If anyone else responds here we can move the thread to the rides section and schedule a ride. 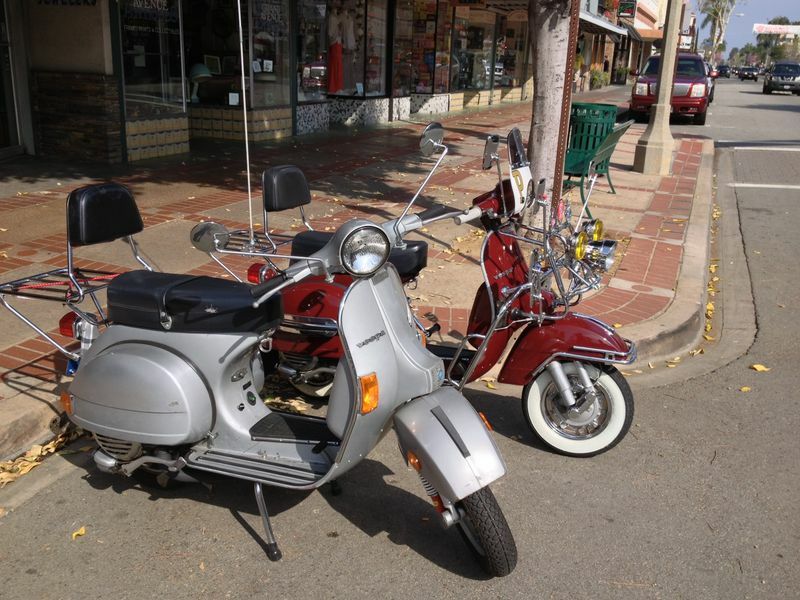 I am 90% sure that I am headed to the Rockers vs Mods event in San Diego Sunday. Check out my post in the Rallies & Events section. I would be leaving from Dana Point. Riding PCH, ride through state park and hoping to be allowed to ride through Pendelton instead of the freeway. Doing the Modern ride at 10 and then heading back in time to beat sunset. Let me know if you or anybody else is interested. A black 200L on Los Alisos turning left at Rockfield at about 8:15 this morning. I liked the Checker sticker he had on his Chrome finish helmet. On Glassell one block from the Orange Circle. I saw my first 946 in the wild. Headed south on PCH. At the intersection of PCH and Broadway. I was filtering to the front of the queue on Broadway waiting for the light to turn green and then head south myself. I headed south when the light turned green hoping to catch up to it. i drove down PCH all the way to Capo Beach and home. Never did.